Mallory is on the run from his whole life. 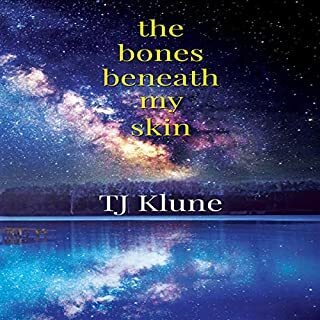 He's been working for an environmental activism group, but he's out of control, trying to wipe out the memories of a tough childhood in his efforts to save the planet. When an accident at sea costs the lives of his colleagues, he crash-lands back in his hometown in the far north of Scotland, lonely and at rock bottom. It's the last place on earth he expects to find comfort or friendship. It's 1946, and the dust of World War Two has just begun to settle. When famous archaeologist Rufus Denby returns to London, his life and reputation are as devastated as the city around him. He's used to the most glamorous of excavations, but can't turn down the offer of a job in rural Sussex. It's a refuge, and the only means left to him of scraping a living. 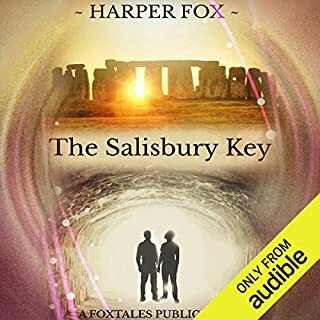 With nothing but his satchel and a mongrel dog he's rescued from a bomb site, he sets out to investigate an ancient church in the sleepy village of Droyton Parva. It's an ordinary task, but Droyton is in the hands of a most extraordinary vicar. The Reverend Archie Thorne has tasted action too, as a motorcycle-riding army chaplain, and is struggling to readjust to the little world around him. He's a lonely man, and Rufus's arrival soon sparks off in him a lifetime of repressed desires. ©2016 Harper Fox (P)2017 Audible, Inc. I love the story line, however I found some language used was not authentic with the era the story was set in. But that's a small critique for an excellent listen. Harper Fox is most certainly one of the best storytellers today. What I particularly love about her work is her extensive knowledge of the English language. She chooses precisely the right word to paint a picture which is easy to visualize in one's mind. The story is beautifully told by a third party narrator who switches back and forth between the two protagonists, Archie, and Rufus. There actually are two stories, and the story narrator subtly interweaves them through the main characters. Kudos to Ms. Fox for giving us yet another inspiring story. 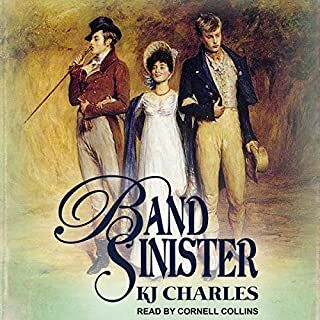 Regarding the audible version of this book, Chris Clog continues to rock as a performer. I have seldom listened to anyone who can present as many uniquely voiced characters as he. The characters truly come alive as he transforms into them. I never once felt someone was reading a story, rather, the story was unfolding right at that moment. As with any of the other novels he has narrated, I was so enthralled by his performance it was difficult for me to stop for bathroom and dog-walking breaks. This is indeed a "must listen to" novel and performance. 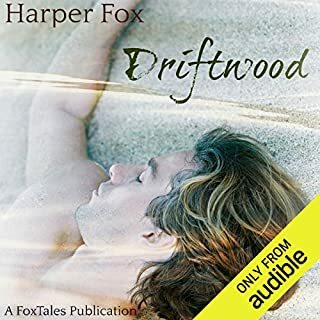 I'm a fan of Harper Fox and have listened to most of her audiobooks, so with all of the wonderful reviews and the many comparisons to Jane Austen I was really looking forward to this one. After I started listening I kept looking forward to it being over. I continued listening, hoping it would get more interesting. It never did. 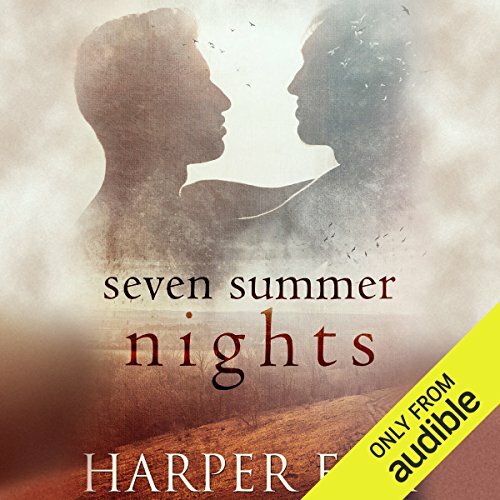 My favorite audiobook so far! I loved the book too, it is one of my favorites, but it wasn't complete without the audio version. Listening to this book, all the characters just came to life. Vivid and lively, I could feel all their emotions, and I could laugh or cry with them, I felt their rage, their despair. I love Archie, Rufus, Drusilla, and all the other, I wish I could meet them in person. 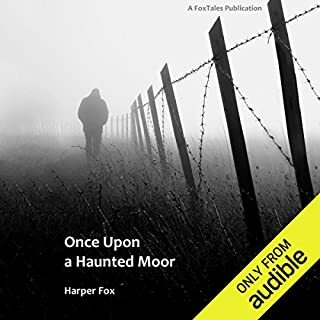 Harper Fox weaves another great tale! I didn't want to stop! Heart breaking, exciting, sensual, poetic, and reaffirming. Fox ties history, mythology, romance and drama together in magical ways that keep me coming back again. LOVE THIS SO FREAKING MUCH! Rufus and Archie are one of the greatest couples! The timelessness of this love story just fills the heart. From one witch inherent to the final 7 setting the past free. To heart's desires fulfilled. Each character wove their own story into the tapestry of this magical piece. I really wish this one could have continued to unfold with the telling of the children. Thank you Harper for another magnetic story. I won't forget The Reverend and Rufus anytime soon. As the book starts I think, "I don't know if I'll like this"...well, that quickly ended as the fog cleared. Narration is smooth, excellent - great differentiation of character and flow. I dare you to be immune to this story or the charm of these two as they will make you breathless with their selflessness... their sweetness and utter rightness for each other. It is set in the 40's but makes you feel you are in earlier times... but the culture is changing quickly. There are several times when you think oh, I know how this is going to go, but there are some hairpin turns along the way. Thanks so much Harper for the beautiful Story, I have had several of yours I have enjoyed and am looking forward to the next! Chris Clog is an excellent narrator! I think this will have to sit alongside Harper's 'Priddy's Tale' as one of my favourites in print, pixel and audio. The characters of Rufus and Archie are brilliant and so full of life and warmth - something that the narrator, Chris Clog, brings vividly to life. I loved the characters when I read the book but, having now listened to their story, I can say I adore Archie & Rufus. The supporting characters were well fleshed out and the dual strands of the story: Rufus' amnesia and Archie's church, intertwined in a logical fashion, answering various questions posed throughout the book. The ending was satisfying and I didn't really want to leave the characters. All in all this was a wonderful, engaging story with characters you loved, some you disliked, and some you'd quite happily like to see get some of their own treatment. Heartily recommend Seven Summer Nights and I would give it more than 5 stars if I could. Reverend Archie is one of my favourite people. This book is a real gem, the narration is wonderfully done. Every character is so well fleshed out. The subjects covered are so well researched and feel so real, shell shock, war, archaeology and post war life. A well written, wonderful story full of heartbreak, joy and adventure. Set in the post WW2 period tho is the tale of two homosexual professional.men. One is an archaeologist investigating the antiquities associated with an ancient Parish church. The other is the vicar whose benevolent influence encompasses the entire parish. An irritant is the doctor who is strongly against queers and their works. The story is wide ranging to the extent of being a saga. Mercifully all deserving characters live happy, if altered lives after the life changing events related. The narration by Chris Clog was as scrumptious as the story. Quintessentially English, utterly charming and an absolute delight to listen to. Think that says it all, well done to all concerned. 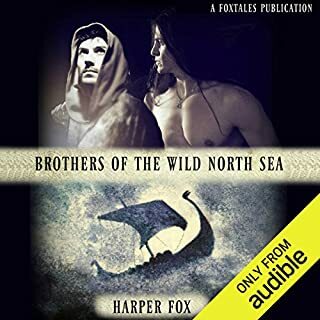 **Book Review** My second Harper Fox read, the other being Brothers of the Wild North Sea, and straight onto my creme-de-la-creme shelf for you, my beauty. Utterly scrumptious, sumptuous prose and world building that really did make you feel as though you were on the Sussex Downs, staying at the Rectory in Droyton Parva with Archie, Mrs Nettles, Drusilla and Elspeth. There was a thoroughly English kind of The Darling Buds Of May feel to the whole story, light hearted but deadly serious when it needed to be. 5 captivating stars from me.